Q. In what year did Corning Glass Works receive its earliest patent? 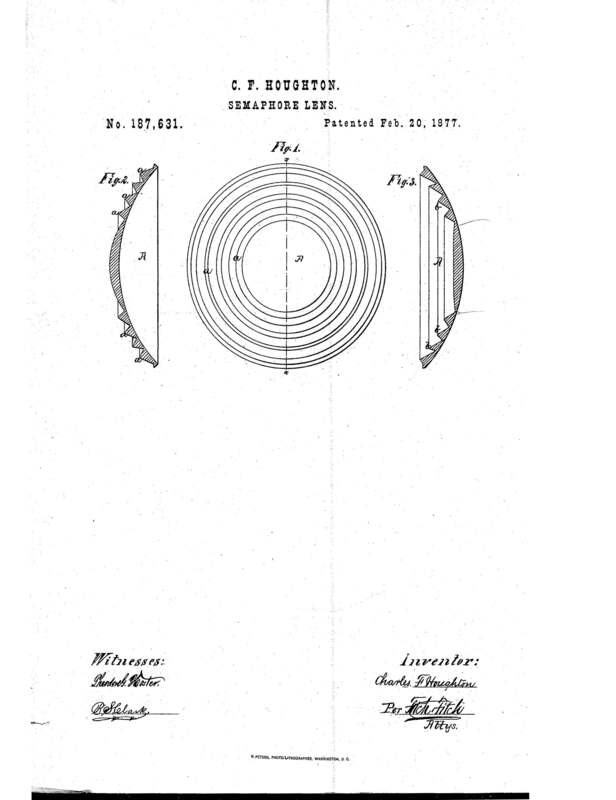 According to the Survey of Technical Progress, Corning Glass Works, Part 29: Listing and Index of Patents Issued 1877 to 1925 (Corning, N.Y.: The company, 1965), Corning Glass Works' earliest patent filed was for a semaphore lens. It is held by C.F. Houghton and dated February 20, 1877 (Patent #187,631, or US000187631). The lens was designed to be resistant to breakage caused by the heat from lamp flames. Image: C.F. Houghton Semaphore Lens. Patent No. 187,631. Patented Feb. 20, 1877. Drawings. US000187631. U.S. Patent and Trademark Office. Please do not hesitate to ask us your glass-related questions in the future. What year was the pattern cornflower made by corning-ware? Interested in Corning's role in fiber optics.